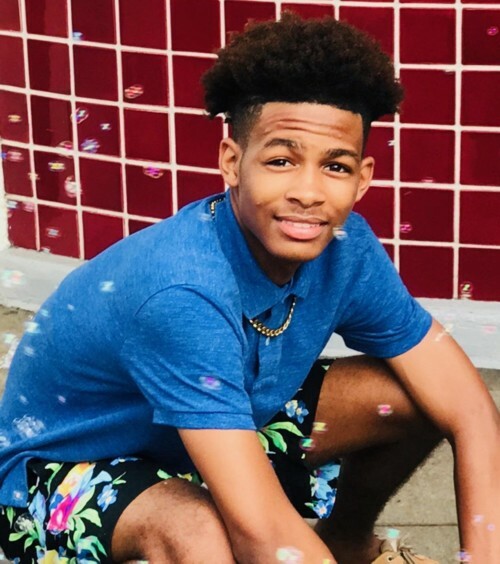 "He is a true example of a PAL kid," Officer Morris Halyard III, JaxPAL Teen Leadership/YDC coordinator, wrote of Paul Gordon, Jr. in his letter nominating Paul for this award. Paul is a shining star in the JaxPAL organization and a positive example and mentor in the YDC (Youth Directors) program. Many in JaxPAL have had the pleasure of watching Paul grow up, as he has been part of the JaxPAL family since he was in third grade. Paul has grown into a "productive citizen in our society," Officer Halyard said. "Paul exemplifies the true characteristics of a leader." Locally, Paul currently serves as president of the JaxPAL Teen Leadership/YDC and at the state level serves on the Youth Conference Committee as president of his region, both honored and prestigious positions. "Paul has set the bar high for his peers," Officer Halyard said, by serving his community tirelessly. 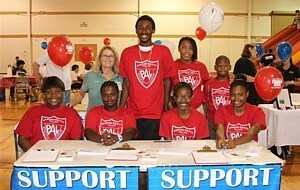 He has completed more than 900 hours of community service with the JaxPAL Teen Leadership/YDC. Some of those hours have been dedicated to cleaning up hurricane debris in senior citizens' yards after Hurricane Irma; serving as a youth counselor at JaxPAL's summer camp and as an intern helping with JaxPAL's winter basketball and leading the JaxPAL team in the MLK parade. Other venues have found Paul leading a panel discussion and facilitating a workshop for more than three hundred teens at the Preventing Crime in the Black Community and participating in the 5000 Role Model Males of Jacksonville and Duval County Public Schools by mentoring atrisk minority youth, and in addition to those endeavors, he participates in Advancement Via Individual Determination, a community program to set positive examples for teens whose families have no history of college and a Rotary Club program which promotes and helps build leadership skills for young people. Paul also finds time to volunteer at a soup kitchen and the Ronald McDonald House. "Paul has managed to maintain honor roll grades throughout his high school years while maintaining these responsibilities," Officer Halyard noted. SFAPAL is proud to name Paul Gordon, Jr. as our PAL Boy of the Year. It will be exciting to watch this young man as he uses his potential and talent to succeed in meeting his goals in the future.